Transforming the World Jesus and Big Politics is a Jim Wallis talk recorded at Youthwork the Conference - 2009 on Practical Christian Life available as MP3 Download format. Part 1: Jesus and big politics. "I had always been a skeptic of the church of personal peace and prosperity ... of righteous people standing in a holy huddle while the world rages outside the stained glass. But I've learned that there are many people of the cloth who are also in the world, and from debt cancellation to the fight against AIDS and for human rights, they are on the march. Jim Wallis isn't just part of this movement—he's out front carrying a bullhorn." – Bono. As U2's shy and retiring vocalist puts it, Jim Wallis has been at the forefront of inspiring the church to become a major movement for social change at a grassroots and global level. He's lived and worked in a deprived area of Washington for decades; has been arrested several times for political activism and has bent the ears of presidents and prime ministers. Fresh from the World Economic Forum in Dubai, he'll be sharing his heart and giving his take on the church becoming increasingly more 'politicised'. Be the first to review Transforming the World a talk by Jim Wallis! Got a question? No problem! 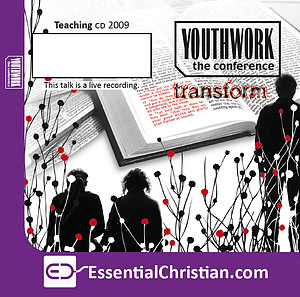 Just click here to ask us about Transforming the World a talk by Jim Wallis.